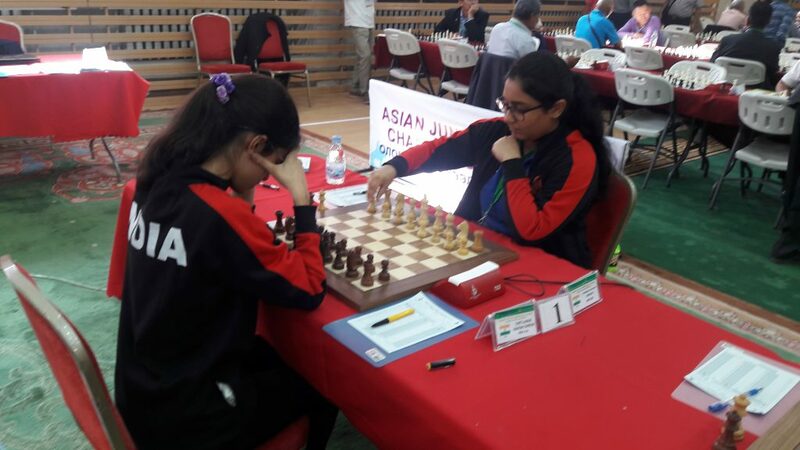 The much-awaited encounter between the two Indian players Aakanksha Hagawane vs. Sakshi Chitlange ended in a tame draw after the end of the 7th round in Asian Junior Girls Championship. 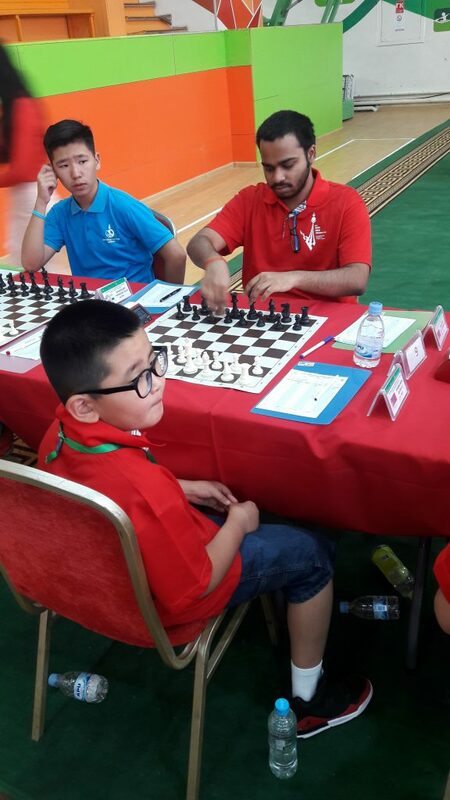 They both are now 5.5 points each and are trailing the leader Altantuya Boldbaatar of Mongolia by half a point. On the top board, Sakshi opted for the Caro Kann defence for which Aakanksha chose a side variation and gradually advanced her ‘g’ Pawn to ‘g5’ intending to attack. 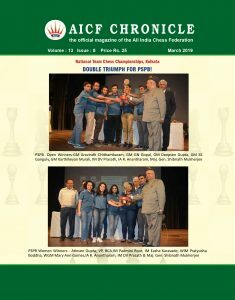 However, after exchange of couple of minor pieces, Aakanksha swapped queens which resulted in an equal rook and bishop ending. The game was ultimately drawn in an opposite coloured bishop ending, without chance for either side. 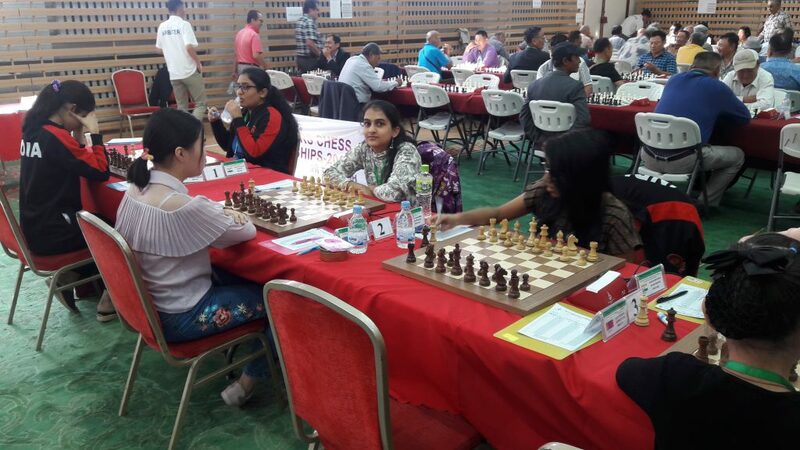 On the second board, Isha Sharma after choosing to play the King’s Indian attack against Altantuya Boldbaatar of Mongolia, drifted to an inferior position by playing on the queen side. The Mongolian player sacrificed a Pawn and got ample compensation with the Bishop pair and pressure on the ‘d’ file. Boldbaatar ultimately got an exchange and the rest was just a matter of technique. Isha remained on 4.5 points. C.H.Meghna compromised quite a bit on the King side in the white side of Sicilian Accelerated Dragon variation and was unable to parry the threats posed by the top seeded Mongolian Uuriintuya Uurtsaikh. Though Meghna had wrested control on the ‘d’ file , the counter play after her opponents ‘f5’ made it difficult for Megna to figure out the right plan and succumbed to defeat. 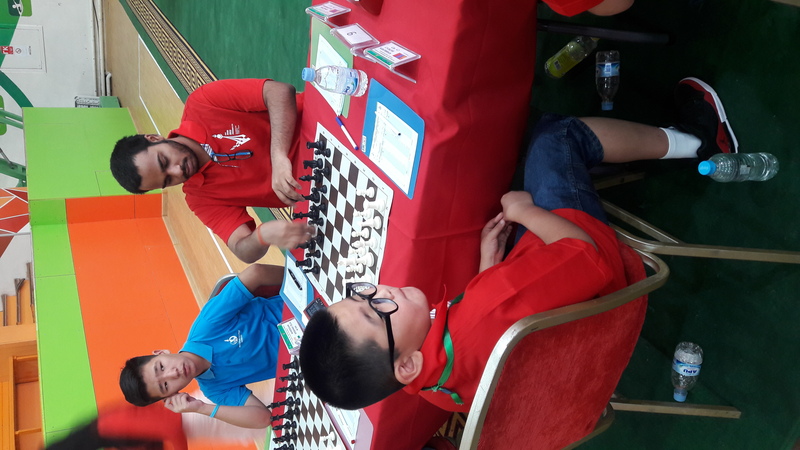 In other boards, Priyamvada Karamcheti lost to Diana Omurbekova of Kyrgyzstan by keeping her King in the centre and going for a flank attack, while Bidhar Rutumbara got the better of Udval Batkhishig of Mongolia. In the Open section, FM Priasmoro Novendra of Indonesia swung into the lead with 6 points by beating Mongolian IM Batsuren Dambasuren. The top seed and overnight leader IM Yakubboev Nodirbek of Uzbekistan suffered an upset defeat against local lad Agibileg Uurtsaikh. Indian IM N. Krishna Teja defeated Tenuunbold Battulga to take his tally to 3.5 points. Krishna Teja playing black facing the Torre attack, played a positional game and got a huge advantage after the opening phase, to quickly wrap up the match.